Director of Academic Relations, Fulbright Program, The Institute of International Education (IIE), Washington, DC. Deadline: Open until filled, posted October 11, 2018. The Institute of International Education (IIE) seeks a talented academic scholar and professional to join the Fulbright Program as the Director of Academic Relations. This individual will be responsible for overall outreach strategy for the Fulbright Scholar and Fulbright Student Programs. The Director of Academic Relations will represent the Fulbright Program externally, engage with higher education leaders in the United States, and supervise Fulbright outreach and recruitment activities that will impact and benefit both U.S. and non-U.S. Fulbright Programs. The Director of Academic Relations will have a special focus on extending the Fulbright U.S. Scholar Program’s reach by fostering increased collaborations with higher education institutions and academic and professional associations and enhancing its identity and levering IIE-wide support for the Scholar Program. The U.S. Department of Education (ED) is seeking applications for a new competition: Fulbright-Hays Doctoral Dissertation Research Abroad Fellowship Program. The program provides opportunities to doctoral candidates to engage in full-time doctoral research abroad in modern foreign languages and area studies. Only applications that propose research on the following geographic areas will be accepted: Africa, East Asia, Southeast Asia and the Pacific Islands, South Asia, the Near East, Central and Eastern Europe and Eurasia, and the Western Hemisphere (excluding the U.S.). Applications are due April 28, 2015. Daan Bauwens has an M.A. 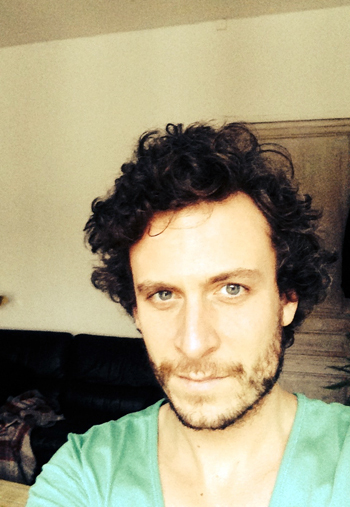 in psychology and is a journalist for the Belgian and international press, combining narrative and anthropological journalism in newspaper articles and prose. By way of extensive ethnography, since 2008 his research focuses strongly on the influence of culture on interpersonal and intercultural communication. His main interests are conflicting worldviews with violent or non-violent consequences, the influence of religiosity on communicative behavior and the effects of a diaspora on native cultures. Research topics and publications include: the Israeli mindset and youth culture, the Kurdish cultural struggle in Southeast Turkey, gender and Arab-Berber conflicts in Morocco, Japanese business culture and gender issues, and the structure of political processes in Belgium and the European Union. In 2014, Daan Bauwens received a Fulbright grant for long-term research and a series of publications on the deep effects of multiculturality and superdiversity on the urban culture of Manhattan and Brooklyn. This research takes place in 2015, with the support and collaboration of New York City ngo City Lore. NOTE: CID facilitated the connection between Bauwens and City Lore. Dr. Andrew R. Smith is Professor and Graduate Program Head in the Department of Communication Studies at Edinboro University (PA), where he has been teaching since 1993. He also coordinates the web-based Graduate Certificate in Conflict Management. He served, for the 1998-99 academic year, as Senior Fulbright Fellow in Communication and Culture at the Faculty of Letters, Department of English, Mohammed V University in Rabat, Morocco. He returns regularly to Morocco to conduct seminars and research as a member of Research Group on Language, Culture and Development at the Center for Doctoral Research, Mohammed V University, supported by various granting agencies. In 2011 he was awarded a Fulbright Specialist grant to continue this work. Other faculty appointments include Villanova University, Southern Illinois University, Lewis and Clark College, and The Tokyo Center for Language and Culture. In 2009 he was inaugurated as a Fellow in the International Communicology Institute. 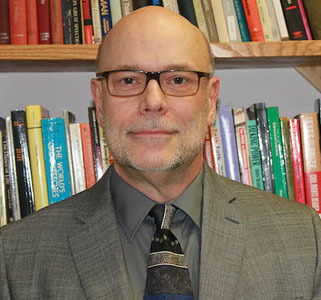 He is coeditor (with Lenore Langsdorf) of and contributor to Recovering Pragmatism’s Voice: The Classical Tradition, Rorty and the Philosophy of Communication (SUNY Press), and recently authored the monograph Epistemology and Ethics in Human Science Research (a primer for graduate student research). He has published essays in Communication Theory, Human Rights Quarterly, Cultural Critique, Russian Journal of Communication, Human Studies, Text and Performance Quarterly and other journals and edited volumes. Recent publications concern freedom of expression, assembly and movement in authoritarian regimes, intercultural conflict, and public discourse in Morocco specifically. Forthcoming essays address issues pertaining to the aftermath of the “Arab Spring” with regard to the mass displacements of people of many nationalities throughout North Africa and the Middle East, and the increasing presence of “cyber-baltagiya” that sabotage websites of dissidents in the Arab world generally. Current research focuses on developing a theory of intractable conflict from a communicological perspective. Many of his papers are available for download. Andrew teaches courses in intercultural and intractable conflict, language and human conduct, the language of war, freedom of speech, communication ethics, critical/interpretive and qualitative research methods, and related courses at the graduate and undergraduate levels. He has directed over 30 Masters theses and co-supervises dissertations through the Fulbright joint supervision program in association with the Moroccan American Center for Educational and Cultural Exchange. Richard Buttny is a professor of communication and rhetorical studies at Syracuse University. My research interests include discursive analysis, ethnopolitical discourse, and environmental conflicts. See my web page for more specifics. See description of a Fulbright in Malaysia, already published elsewhere on this site. Tomorrow is an ALL-DAY workshop for all 75 students in Public Speaking and Nonverbal Comm…am throwing a Public Speaking CONTEST next Weds. evening w/ PRIZES! I’m giving a FINAL PARTY for all three classes, 75 students; the President of Mekelle U. is coming (with his wife), and about 10 faculty and friends…at a delicious, outdoor Pizza Restaurent, with pizza, drinks & dancing! I got such a nice compliment from the guy who brought me to Ethiopia—he said, “I notice you teach the WHOLE 2 hours, most faculty are 1—1.5 hours; and you do all these extra lectures/workshops….we all agree you were the right Fulbrighter to bring here” – I was very touched. It’s been fun, takes a lot of initiative to do anything here; easy to just slide by. Last week, I gave a talk to faculty on SOLITUDE, expected about 4 to come; but 12 faculty came, including the DEAN (who is a poet and misses his solitude! )…we had such a great, lively discussion! Not sure I could do a full year here—but I leave w/ so many great memories! There are little reminders of life’s struggle here…although never verbalized. When I grab the students’ arms to walk up stairs, I am always struck with how thin and fragile they are—even those that look “full body” are what we would call “skin & bones.” A perpetual reminder of the minimal food, low protein here or in their past diet. You do not see starvation, but people are so thin here. One never knows the “real” background of their students. I took this student, who I think is exceptional, out for coffee—to hear about her life plans. She comes to class dressed so immaculately, so sparkling clean, her writing is great, she is outspoken, so quick and lively (unlike the sullen, taciturn females here). I presumed she was from a middle-income, intact family. Her mother died when she was about 8, only child, her father is a laborer. She said, “I am very neat because it gives me confidence. I don’t have any money, but I can be neat.” She is studying Japanese/Chinese, and trying to learn as much as possible—she wants to enter politics and study political science…I find her inspiring. The Ministry of Foreign Affairs in Addis wants me to do a couple workshops in Public Speaking and also Nonverbal Communication—the US Embassy is working on dates and logistics…MFA heard about my “success” with govt. officials and PR people—now the “big wigs” want the workshop…I am totally jazzed to do this. I will be very sad to leave…it really has been an amazing journey, of all kinds…. The Fulbright Senior Scholar Program provided me with a wonderful opportunity to invigorate my work at my home institution by applying my expertise at another school in another culture. I had never been to Cambodia before and working at the Royal University of Phnom Penh, the largest and oldest university in Cambodia, was personally and professionally rewarding. I received a six-week grant that I divided into two separate three week visits. 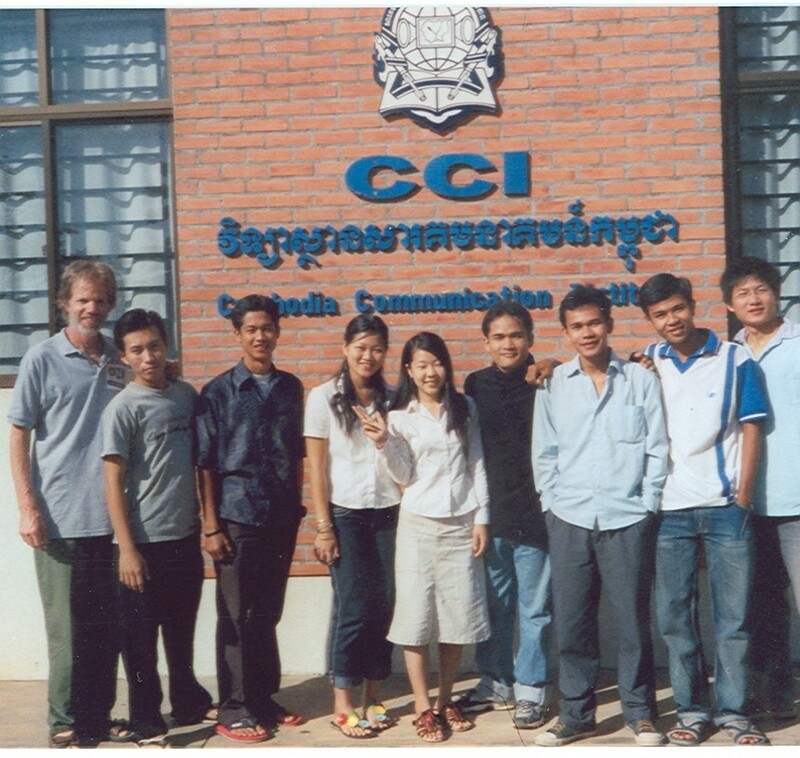 The first trip gave me a chance to get acquainted with the Department of Media and Communication/Cambodia Communication Institute at the university, work with students & faculty and assess how I could best make lasting contributions. I followed this with a second trip, ten months later, and used the intervening ten months to collect materials that helped with enhancements on my second trip. The purpose of the grant was to support the Department of Media and Communication/Cambodia Communication Institute in developing an appropriate educational program for the education and training of future Cambodian journalists. This, more specifically, entailed focusing on development and improvement of curriculum for the undergraduate program and developing teaching materials in communication theory, human resource management, introduction to research methodology and related areas. My work at the university involved presenting lectures, participating in seminars, conducting needs assessments, assisting with faculty development, encouraging curriculum development and other matters linked to my areas of expertise. I created an 11 page Manual for Organization of Research Papers, Rules for Writing Style & Preparation of Oral Presentations.” I also created a small reference library consisting of over 60 new (state of the art) books that I brought as a donation to their program. This collection consisting of books dealing with telecommunication, journalism, mass media, public relations, communication research, human resource management and related areas. Part of the challenge of this assignment was finding creative ways to achieve objective. The mail system in Cambodia was unreliable so I needed to personally bring the books with me. On my second trip I was permitted 120 pounds of luggage and 105 pounds of it were books! Getting the books to them was important as I saw this collection as being a foundation that they could build from in a variety of ways using their own initiative. This Fulbright grant gave me a great opportunity to re-think much of what I do and how I do it at my home institution. Working with colleagues and students in my discipline, but within another cultural context (especially one that is quickly changing), forced me to revisit many of the assumptions I have regarding my academic discipline and how I work within that discipline. It is an invigorating experience that will have a lasting impact on my teaching and research at my home institution. Being able to make new friends and establish collegial relationships in another culture is always fulfilling, professionally and personally. I continue to maintain contact with Sopheap Phan, my primary host during my work in Cambodia. We have gotten together on two occasions and we engage in periodic e-mail exchanges. I foresee doing follow-up trips to Cambodia that will build upon my experiences there in 2005-2006.